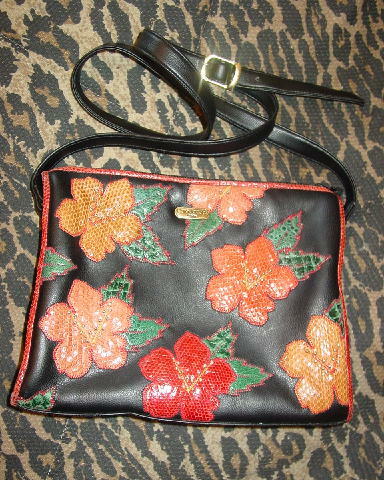 This black background faux leather purse was handmade in the Philippines by Cora Jacobs Collection. It has a black fabric (with padding behind it) lining and an interior zipper side compartment. 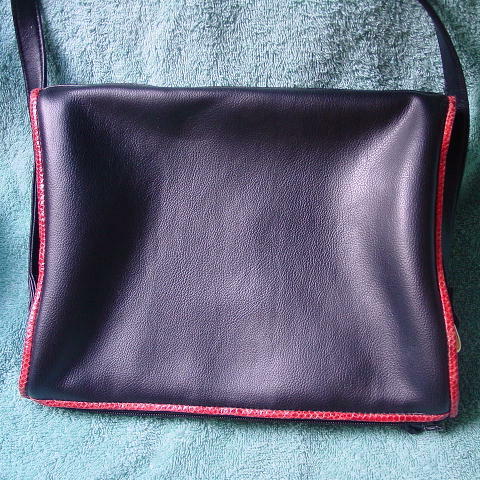 There is a top side to side zippered opening and a 48" long shoulder strap with a 3 hole adjustment. The top and side edges are in a light raspberry snakeskin. 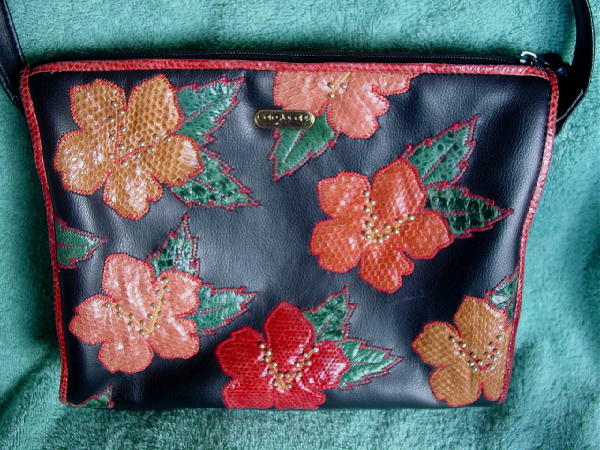 The front has a flower and leaf design in red, pumpkin, camel, caramel, and green snakeskin with gold-tone beads - some of which have the gold-tone missing. There is a metal logo tag on the front. There is a light line mark below the pumpkin snakeskin flower.